For the second time in less that three months…I haven’t felt well enough to go to work! This is very unusual for me because I’ve always been quite healthy. No broken bones, no surgery, no doctor visits (maybe a good thing?) and no prescriptions (definitely a good thing). But since Monday of this week, I’ve been plagued by an undulating low-grade fever, extreme exhaustion, and bouts of sudden diarrhoea. Not very pleasant to talk about, but that’s what the way it is. Having worked in the clinical laboratory for over 30 years (really, that long? ), I have been able to “rule out” common disease causes for these symptoms. My lab work indicates that whatever is causing this is NOT bacterial, nor are symptoms caused by parasites or viruses since I drink some colloidal silver every day! Did you know that colloidal silver is easy to make, costs less than $100 to get started, and is anti-bacterial, anti-viricidal, anti-fungal, and anti-parasitic? If you want to check this out, go to: http://www.naturesalternatives.com/colloidal-silver.html. That’s where I got my colloidal silver generator! But what the heck is causing this “almost” illness? My symptoms (or lack of them), plus the constant high-pitched tones in my ears that do not cause any hearing loss fit the symptoms of ascension flu perfectly! What IS ascension flu? I AM dealing with and transmuting slightly different emotional energies, karmic/polarized energies, past life energies, and varying degrees of lower negative vibrating energies across my time on earth. Some of us have been processing not only our own stuff and junk from this life, but ALL of these former lives. Have YOU been affected by ascension flu? 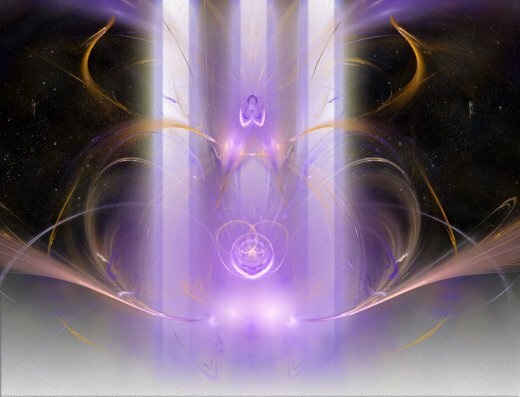 Please read here for a complete list of physical, emotional, and mental issues experienced by those who are “clearing” themselves for having a lighter body in a different dimension: http://goldenageofgaia.com/ascension/the-mechanics-of-ascension/denise-lefay-ascension-symptoms/. Of course, I DO NOT recommend ignoring any sudden change in your health! Be smart about this and check out your symptoms as soon as possible. If there are not any underlying issues to be found…it might be ascension flu!